I was recently asked why I started this blog almost five years ago. Part of it was to try to find a way to help make some money as I was a SAHM and we were a one income family. Of course, it took over a year to make that first $100 in Google ads! But, honestly what I got me started was watching so many families eat such unhealthy meals everyday. They didn’t know the importance of whole grains, fresh fruits and vegetables, and the concept of eating “real food,” not processed. Before the rise of bloggers and the tremendous resources you can now find online, many people believed there were only a dozen or so vegetables. 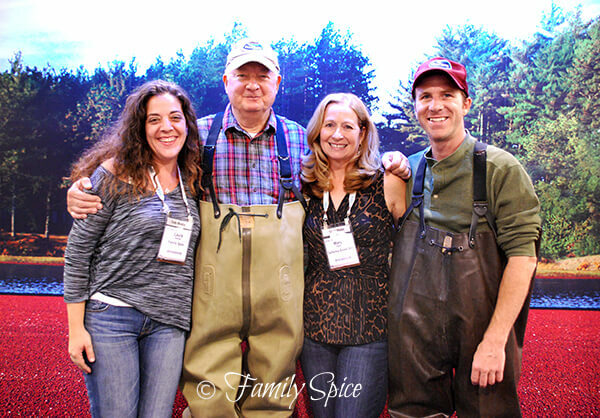 The Idaho Potato Commission invited over 30 bloggers to attend the Produce Marketing Association’s (PMA’s) annual produce convention, Fresh Food Summit, this past weekend. I was lucky to be one of them. The mission? 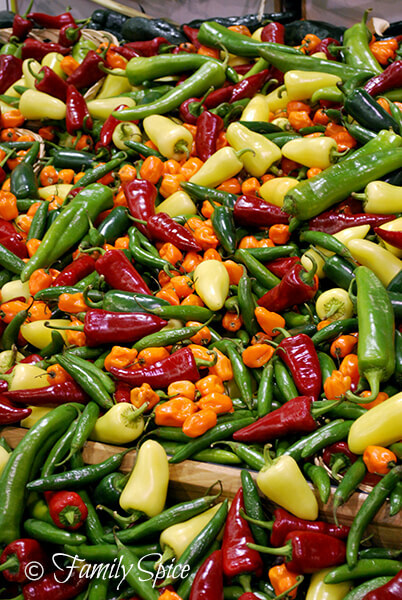 To bring awareness of this event and to promote fresh produce. And I’m not talking about just tomatoes and lettuce or apples and oranges. What I saw, what I learned and what I ate just blew me away. 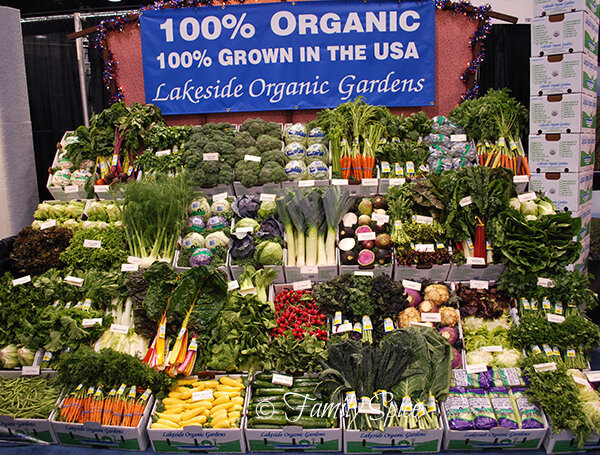 Imagine the entire Anaheim Convention Center filled with booths, food trucks, produce, flowers and over 18,000 people. And imagine the 30 food bloggers weaving their way through the chaos, enjoying the bounty and variety of fruits and vegetables. My partner in this adventure was Mary Platis, California Greek Girl, who helped me eat my way through this amazing event. I certainly can not write everything I saw and learned in just one post. 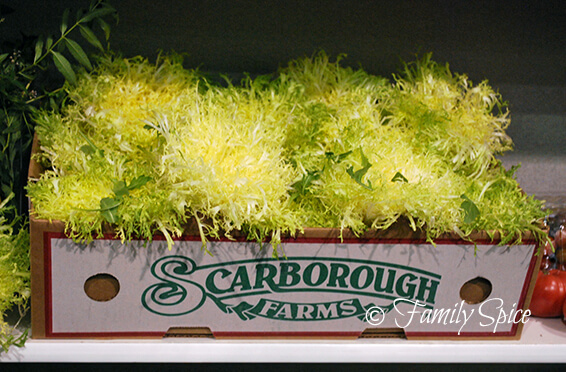 I will be writing about the Fresh Food Summit, the vendors I met and the trends in produce in the coming weeks. This post will include some of the highlights of the conference: the good, the amazing and the off-beat. Many farmers and distributors took the time to talk to us. Many did not know what to do with us. Frequently the interview was turned around as we were asked the questions: “What’s a food blogger? Why are you here?” Several scoffed at social media, others embraced it. People came from around the nation, Florida, Texas, Arkansas, Washington. People came from around the country, Mexico, Canada, Peru, Korea. My head is still spinning from what I saw! 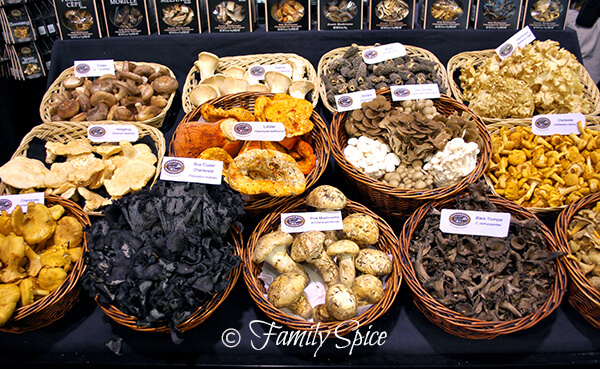 Amazing displays from all aspects of the produce world! 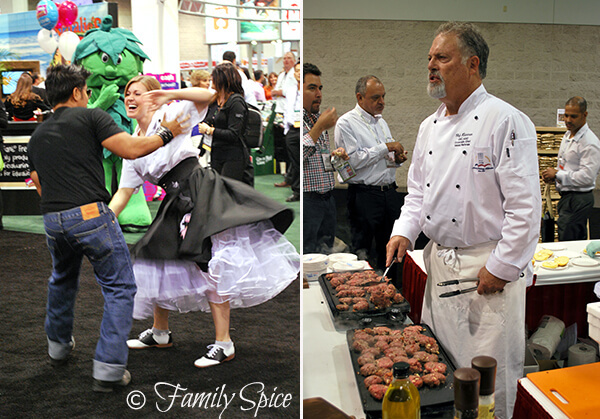 Dancers, chefs and fun everywhere! California Greek Girl (Mary) and I with the Cranberry Guys. More gorgeous flowers and displays. 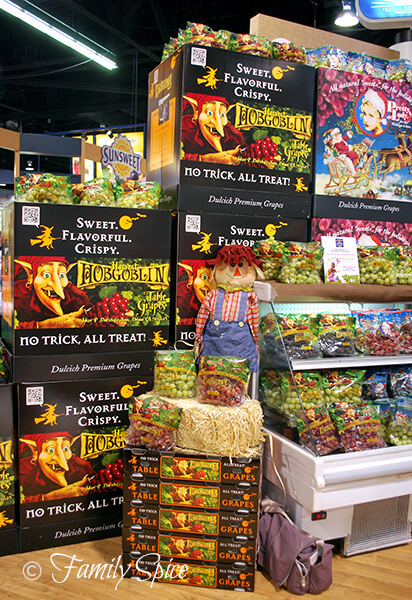 Great marketing for fall grapes! 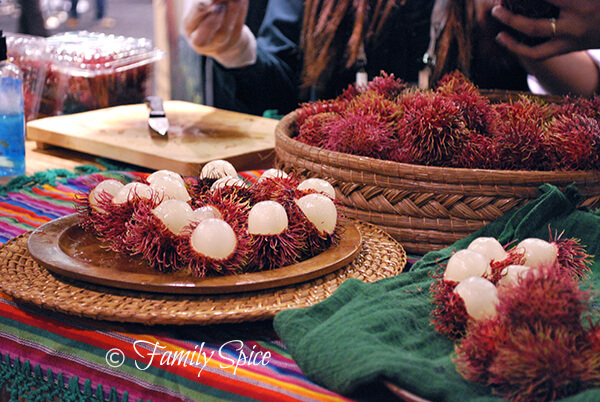 Samplings of produce, including these rambutan from Melissa’s Produce. 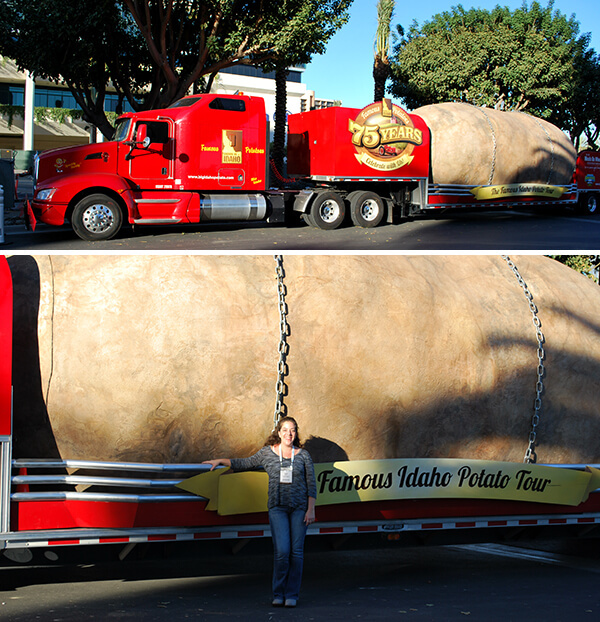 Me with the Giant Idaho Potato! Thank you to all the farmers, distributors and vendors at the PMA who took a moment from their busy day to talk to us food bloggers. A special thank you to Melissa’s Produce for your presentation showing us your unique produce and for the fabulous vegetarian food you served at your booth. A shout out to the terrifically fun folks at the National Watermelon Board for inviting us to their great bowling party – what happens at the bowling alley, stays at the bowling alley! And remember, save a pumpkin, carve a watermelon! And again, thank you Don, the great crew at the Idaho Potato Commission and the PMA for the all-access pass to the Fresh Food Summit and allowing bloggers into your amazing world of produce. Lucky you! I was fortunate enough to go last year when it was in Atlanta. It is an awesome show! Great post! Especially the picture of the two of us in the BOG! What an awesome event! Thanks for sharing. Gorgeous pics! You did the impossible, help people get a feel for what the show was like. Sorry I missed you in the bog! Oh, you bloomin’ lucky duck!! How I would have loved to be the fifth on that photo 😉 ! [Nice one too!]. So thrilled these kinds of occasions are becoming more commonplace – and, as a result, more people in the community are being made to think, even if they don’t ‘wanna’ 🙂 ! Great photos! Looks like a wonderful time – lucky you! Thanks for sharing with those of us who didn’t get to go! Ohhh it sounds fun and it’s always nice to see you in the post! I wish I live closer and go to food events with you. BlogHer will have some event, and I am hesitant to go….only I wish you are here and I’d feel more comfortable! Love the shot of you and giant potato!